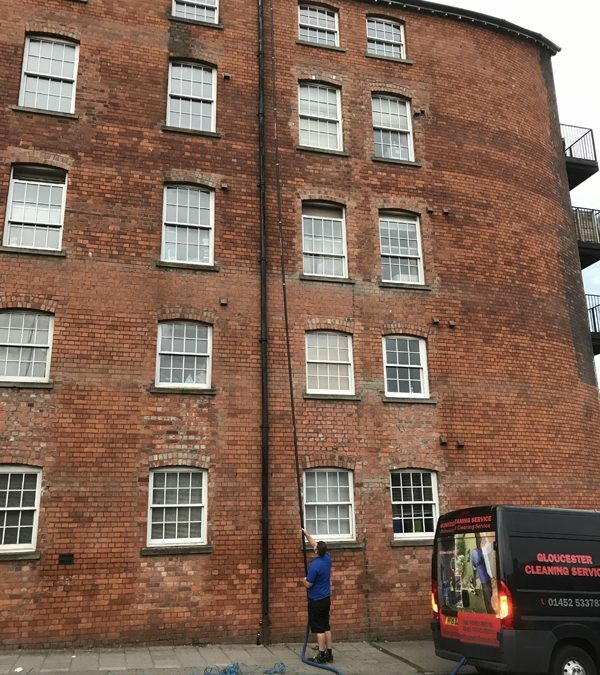 Although the gutters were five floors up we didn’t have any issues with our professional gutter cleaning equipment. Here at Gloucester Cleaning Services we offer a variety of cleaning services for both residential and commercial customers. Alongside gutter cleaning these services include pressure washing and carpet cleaning. To speak with a member of the team and get a no-obligation quote, contact us today either 07972 588 741 or info@gloucestercleaningservice.co.uk.